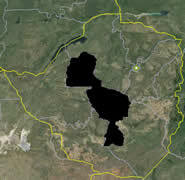 The Midlands Province lies on the plateau between Bulawayo and Harare with Gweru the only city. The province is a bit of a mix but in the main the chief birding habitat you are likely to encounter is acacia, savannah and mixed woodland outside Gweru itself. Antelope Park is just south of Gweru, with dams attracting waterbirds and vultures coming to the remains of carcasses left by the lions. Our bird list is under development any ‘new’ species you add are valuable to us. Charama Safari Lodge is situated just outside of Kadoma in 3000ha of mixed woodland. Chalets and camping available. To book email charamaleisureresort@gmail.com.